Activator, the popular jailbreak application from developer Ryan Petrich (@rpetrich), has received its biggest update in over a year. Among the changes made in version 1.9 of Activator is a new app icon for the iOS Home screen, new icons for actions, and graphics for built-in actions. 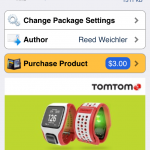 There are also plenty of new developer APIs, “Ask Siri” custom actions, and network-specific leave Wi-Fi events. A ton of fixes for iOS 7 and iOS 7.1 are included in the release, too. Here’s the full change log (via iDownloadBlog). 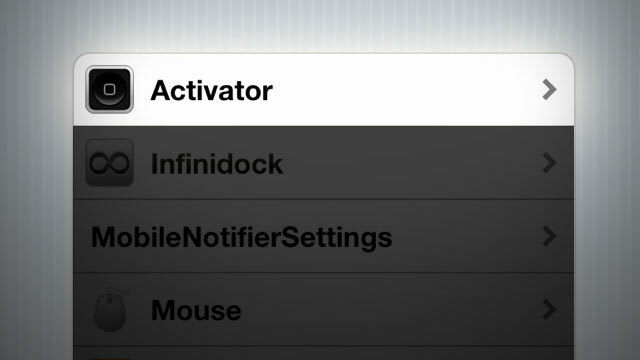 You can download Activator free of charge on the Cydia Store; if you already own the package, however, the 1.9 update should be waiting for you in Cydia’s “Changes” pane. 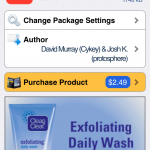 For fans of the free Activator, a number of add-on packages have appeared on the Cydia Store in recent months. These include ScreenLocker for iOS, Acute, MoreInfo, and OkSiri, among others. Check out the updated jailbreak tweak now, or see: Get ready to go retro with Bik, an upcoming platformer for iOS, New video shows off leaked ‘iPhone 6’ housing vs. Apple’s iPhone 5s, and Apple refreshes its Retina MacBook Pros: adds faster processors, more RAM.